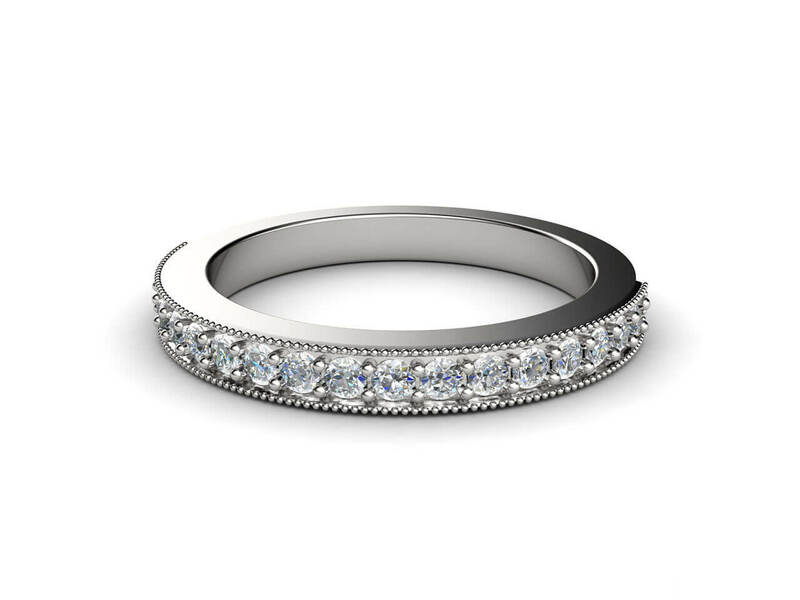 A simple and striking beaded edge diamond wedding band. 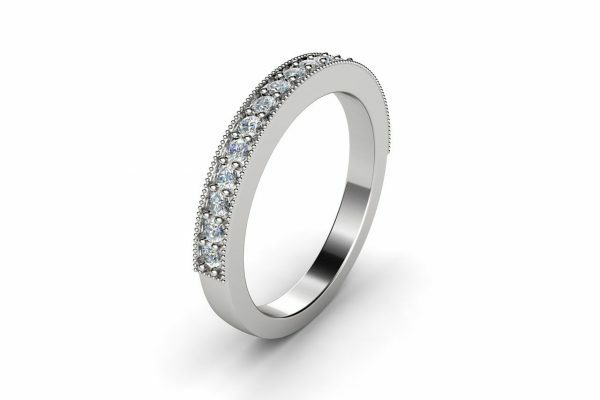 This ring is grain set and grain set with 18 round diamonds and fine beaded edges. 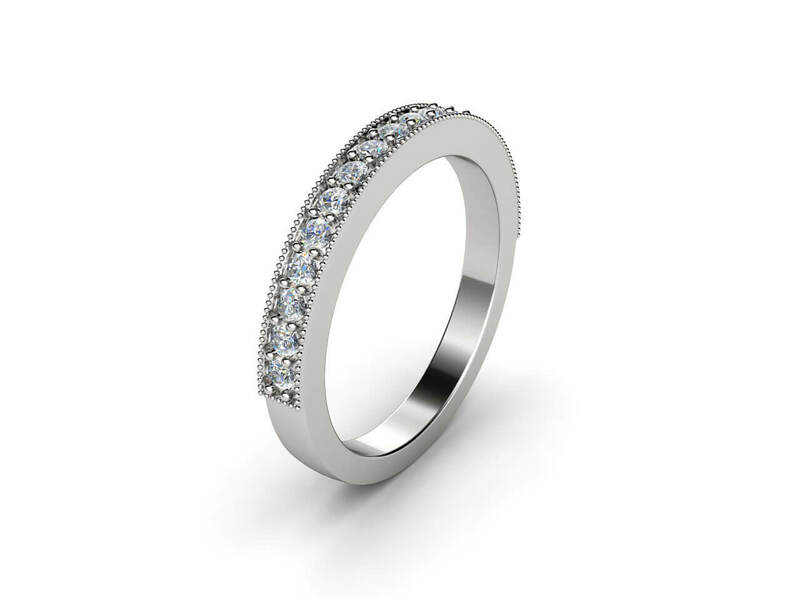 The traditional ring would match any Joseph George engagement ring.